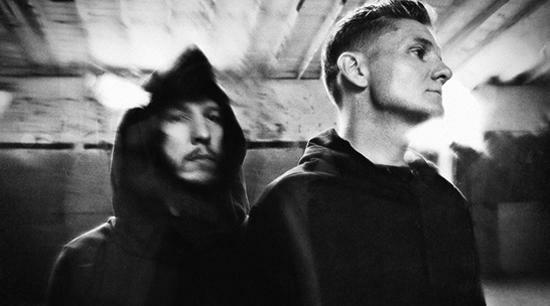 Douglas J McCarthy, he of the mighty Nitzer Ebb, and Cyrusrex, have recently teamed up to form a new project, named DJMREX. Initially creating a remix of Depeche Mode's 'Should Be Higher', they've since been working on their own original material, which will be collected on a series of three upcoming EPs. The first, released through the duo's own label FOLD PRESS, is set for release digitally on 30th December and on vinyl on 20th January. It features five tracks (four on vinyl), including 'Being You', which you can stream via the embed below. The ethos behind DJMREX is, they state, "writing and performing electronic music with vocals, some of which resemble songs. That is not necessarily their intention. They seek to challenge the listener primarily using analog modular synth systems, unique effects processing and sampling voice and sound both in the studio and for live performances." For more information, click here to visit the duo's website.